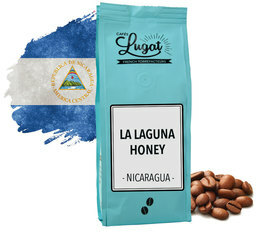 These coffee beans are also available in different grinds. Did you know? Specialty coffees, also called "Gourmet Coffees" are defined as high quality coffees (coffees with no or nearly no flaws), easily traceable (production region, farm and lot used) with controlled growth (climate study, manual and selective harvest, transformation process). 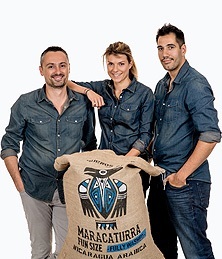 It's the SCAE (Specialty Coffee Association of Europe) who defines and improves the standards of specialty coffees. The analogy with wine and grand cru wines can be quickly made since we have focused on high-end products. Beyond the quality requirements in place, roasters are encouraged to be innovative, to create a new experiences and an excellent coffee.